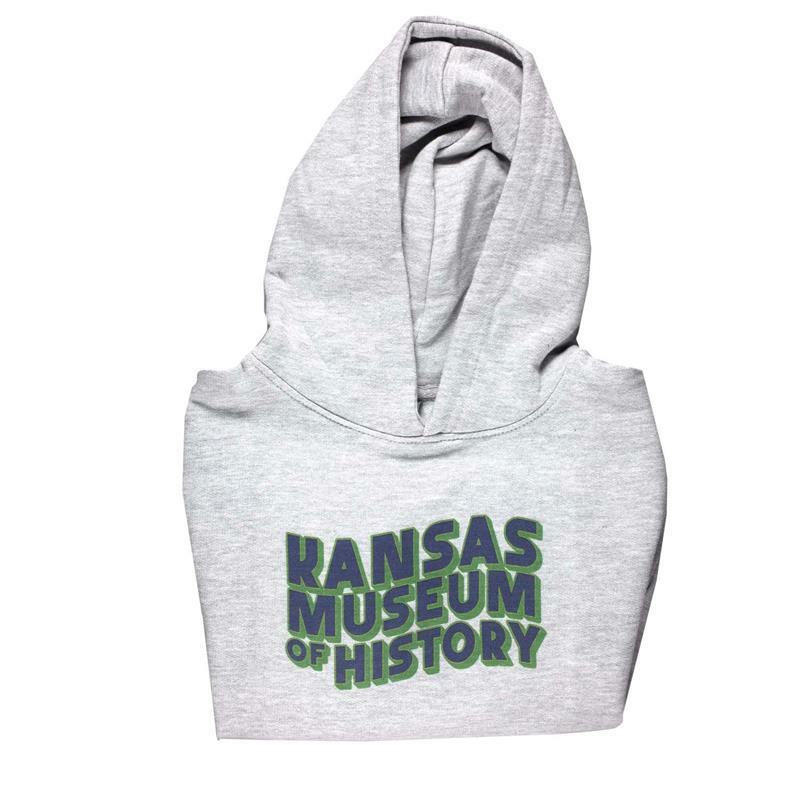 A heather gray hooded sweatshirt highlighting the Kansas Museum of History. Hoodie is 80% cotton and 20% polyester. Printed by Tradepost Entertainment of Topeka, KS.